Contact Details: for Podiatrist Ascot, Walk Without Pain Podiatry Clinics can be found servicing Ascot residents at 110 Kingsford Smith Dve. Podiatrist Ascot: Our team of experienced Podiatrists are ready to help you to ‘Walk Without Pain’. Contact us for an appointment: 3256 1006 or book online 24/7 now using this link. Our Podiatrist Ascot (and surrounding suburbs) clinic is located at the Breakfast Creek end of Kingsford Smith Drive, next to the Riverview Hotel. 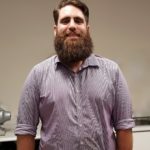 Since graduating from QUT in 2014 with a Bachelor of Podiatry (with Honours), Christian has more recently completed post graduate study in Podiatry. This additional qualification results in an endorsement to prescribe scheduled medicines. Chris is only the 15th podiatrist in Queensland to hold this endorsement. Christian is qualified in administering Prolotherapy and Neural Prolotherapy injection programs. These treatments can offer great benefits for soft tissue injuries in the foot and lower limb. He has a vast interest in all aspects of podiatric treatment. Christian currently rotates through each of our locations at works at are Bribie Island, Hamilton, Indooroopilly and Toombul. Our feet and ankles are one of the parts of our body that receive the most wear and tear over a lifetime. Helping to bear our full body weight, they are prone to develop problems at some point or the another. Thankfully, if you need a podiatrist in Ascot, you can rely on one of our experts at the Walk Without Pain Clinic to diagnose and treat a range of conditions of the feet, ankles and lower extremities. With our staff of 9 qualified podiatrists who together bring you 87 years of foot care experience, we offer the complete range of podiatry therapy. In addition, we are one of the very few competent clinics offering specialised services such as Prolotherapy in the area. There is undoubtedly an expert among us to solve every kind of foot care problem that may be presented to us. Our superior services are delivered using specialised equipment to offer in-house ultrasonography, shockwave therapy and laser treatment for fungal nails. We are proud to state that our Christian Mathews is one of only 15 podiatrists in Queensland with a post-graduate degree in Podiatry. This qualification authorises him to prescribe scheduled medicines, including administering Prolotherapy and Neural Prolotherapy treatment used in chronic musculoskeletal conditions. This means that we are able to treat every major or minor type of ankle or foot condition. We are not just all about the medicine, however. Our staff are friendly and dedicated, taking personal satisfaction in resolving our patient’s pain to make their lives better, and we have an excellent reputation for building permanent relationships. If you are experiencing foot or ankle pain, or any other problems with your feet, and are looking for a Podiatrist in Ascot, please get in touch. Placing yourself in our care is ensuring that you are once again able to walk without pain. We resolve most problems that are presented to us, and almost every referral to us has been satisfactorily treated. Why not book an appointment with us today? Our fees are reasonable, and we can be reached 24/7 via our online portal, or by calling 3256 1006. Ingrown toenail treatments and surgery. Verrucae (plantar wart) treatment / minor surgery. Heel pain treatment – Plantar Fasciiitis, heel spurs, ‘policeman’s heel’ and Achilles’ Tendon issues. Orthotic therapy- Custom and semi-customised devices..
By Car: Car parking available at front of clinic. The driveway is located on Kingsford Smith Drive, just after the Riverview Hotel traveling East, toward the airport. We recommend going very slowly past the hotel. The driveway to parking is immediately after the commercial billboard. By Bus: There is a bus stop directly outside our door. Routes 300, 302 & 305 service this stop. Please search Translink for further details. By CityCat: Brett’s Wharf terminal located 2.0 km away, on Kingsford Smith Drive. By train: The nearest stop is Bowen Hills, approximately 3km away.